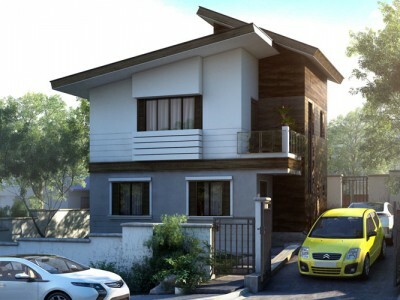 Andres is a Two Storey House with Firewall can be erected in a 160 square meter lot. 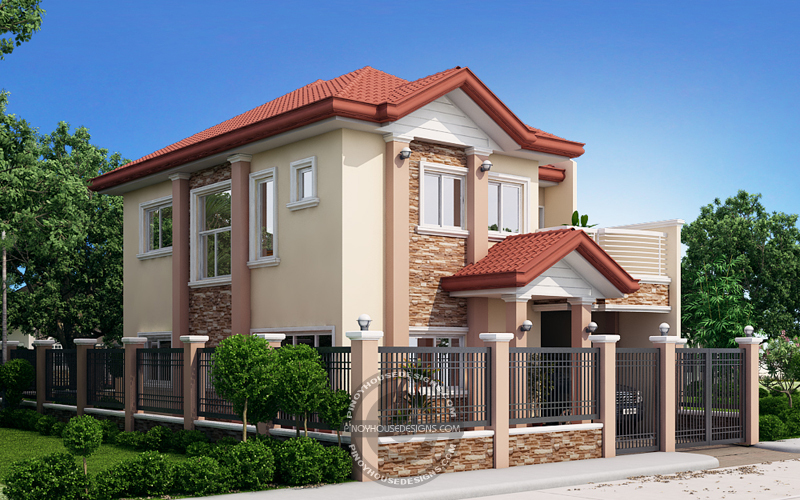 Since this model is for narrow lots, the minimum frontage width required is 10 meters, maintaining a setback of 1.5 meters at the left side. Considering that this design is not your preference due to its layout, floor plan can be mirrored horizontally so that the garage will be on the left side. 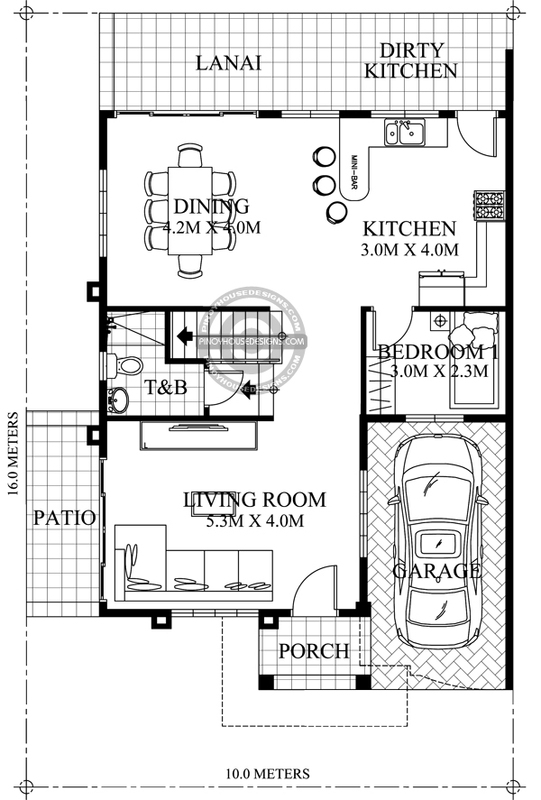 Garage can accommodate 1 car or vehicle and the main entrance is covered by small Porch elevated in two steps or approximately 300 mm. Living room is 5.3 m by 4.0 m considerably a good space with L-type sofa and low cabinet the forward area which a flat tv can rest or position. 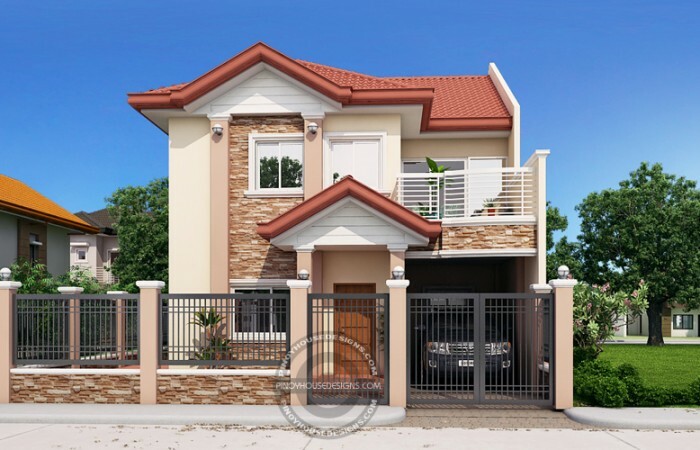 The right wall of the living room is provided with a aluminum sliding window to have a clear view of the car in the garage for security reason and serve also as an air vent for this room. The left wall is a ribbon aluminum glass door leading to a mini patio for an added space for relaxation. A U-type stair is next to the living room which serve as a divider going to the dining. Beneath the stair landing is a toilet and bath serving practically the whole of the ground floor. Bedroom 1 is provided which can serve a maid’s room or a small guest room. Dining and kitchen occupies the whole width at the back. Dining can accommodate 8 chairs and a dining table. A ribbon sliding door in the dining is also provided opening to the lanai at the back. The minibar is also a feature in the kitchen where a small meal or drink can take place. On both ends of the counter-top is the gas range and refrigerator. 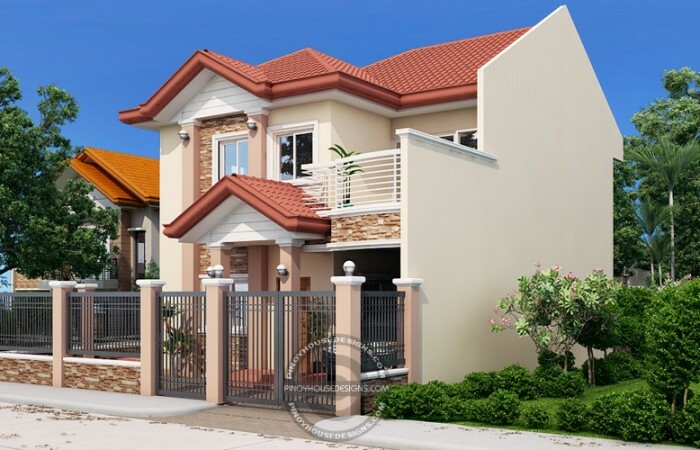 The features and amenities of this Two Storey House with Firewall makes the ground floor a complete house already. 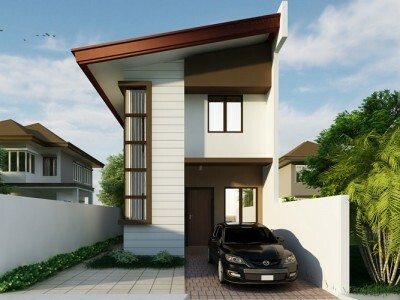 The Second Floor consists of the Family Room, Bedrooms 2 and 3, Master’s Bedroom and Open Balcony. Andres model is innovative in terms of its features, master’s bedroom is 4.3 m by 4 m with walk-in closet and a dresser table. The master’s toilet and bath features a bath tub to soak yourself in hot or cold water to relax and cool down your body. 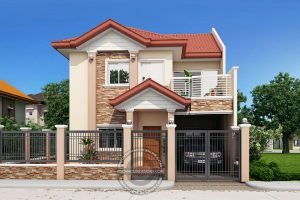 The Family room is enough to accommodate the occupants on the second floor, a place to gather and bond, small talks and sit back. Sliding aluminum framed door opens to the balcony. 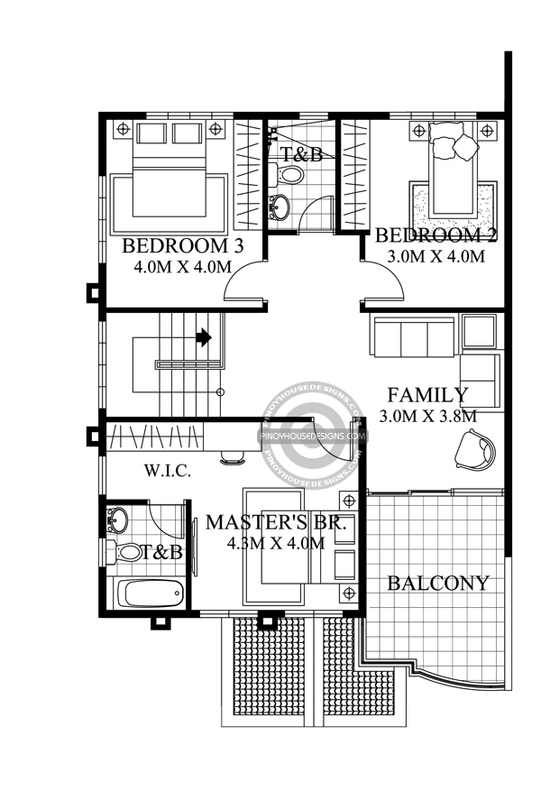 Two bedrooms with built-in cabinets share a common toilet and bath. 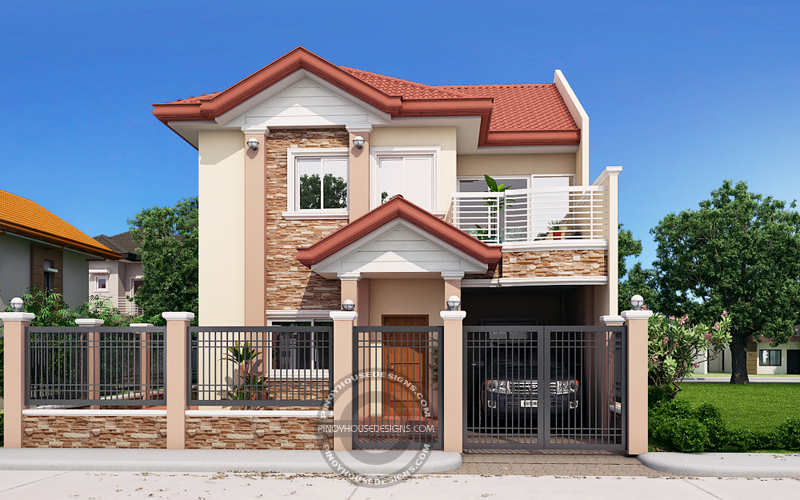 Looking at the exterior view of this Two Storey House with Firewall, steel gates with brick wall, white aluminum sliding glass door, accent brick walls and long span roofing tile effect. 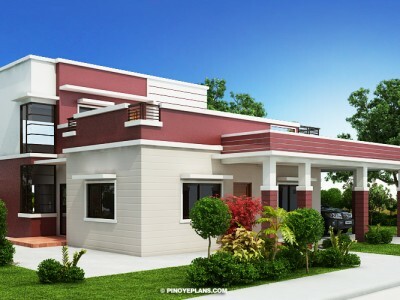 Pinoy house design feature this design for your reference and inspiration for your future house. 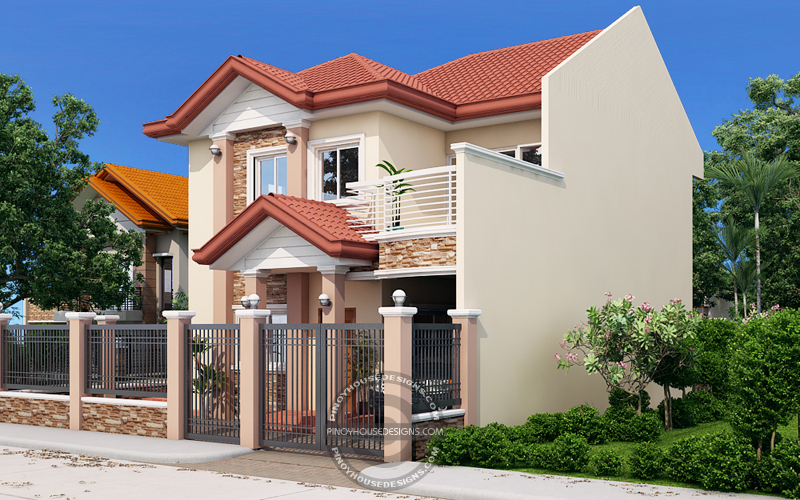 Two storey houses are space saving designs suitable for tight areas and narrow lots.